At the west coast of Crete, you will find Falassarna, a small hamlet of a town surrounded by natural beauty and ages old history! 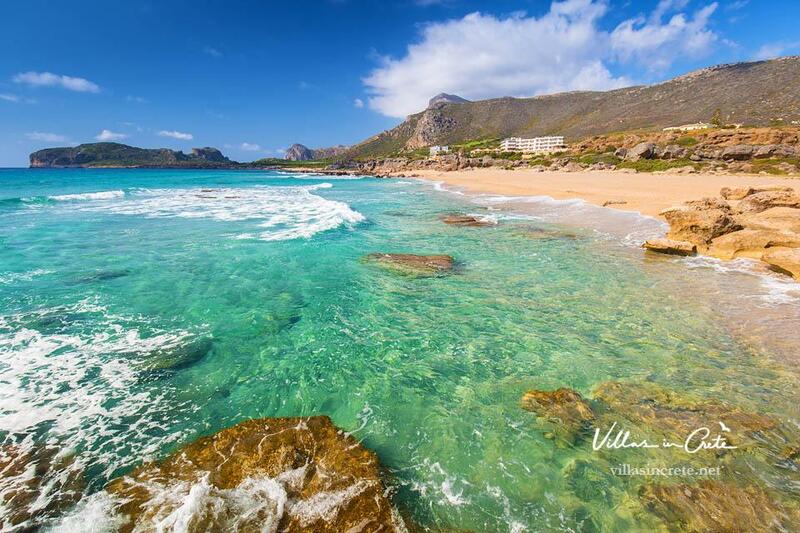 Falassarna is most famous about its wide, immense sandy beach, ranked consistently in the top ten most beautiful beaches of the world. It is so wide that the umbrellas there look few and tiny, and there’s ample room for sports like beach volley without disturbing the beach’s other guests. Not only is it wide, it is also purely of golden, silky sand! With its numerous dunes and the deep blue sea, its waves sweeping across it like cool sheets, it looks like something out of myth. It’s no wonder that it receives top ranking for its beauty and crystal clear, sapphire waters! 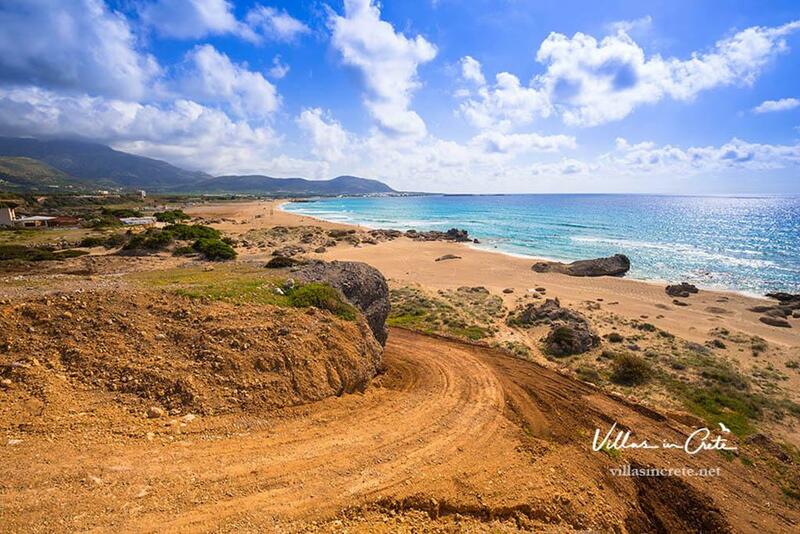 Even though that would be enough, Falassarna doesn’t only have its wondrous beach to boast, far from it! Falassarna happens to be of interest to both the history lovers, biology and naturalism lovers and the geology lovers- let alone the sea sport lovers! There is something for everyone, and all is enriching. In Falassarna there is an archaeological area, where the remnants of the acropolis of Falassarna and its highly important ancient port can be seen. There is also an ancient cemetery, two remains of excavated port turrets, a throne room to be seen if you go to every archaeological area of the acropolis and a breathtaking view to enjoy of the entire sea front for the lover of history. While the port would, logically, be expected to be right on the coast, it isn’t! It’s moved inland and higher due to the fact that the west coast of Crete is slowly rising, while the east coast is sinking, offering you a chance to visibly see the effects of a geological phenomenon that can’t easily be observed by the average layperson! It is also thought that the biggest effect (i.e. the highest rise above the surface of the sea) was by the tremendous earthquake that took place in 365 AD. Falassarna has also been included in the NATURA 2000 project for the vastness and diversity of flora and fauna. Natura 2000 is basically a network of protection of ecologically significant sites in the EU. The criteria for Falassarna’s inclusion wasn’t only the biodiversity of the area but also its exquisite beauty. It is therefore another reason for you to choose it for your vacations! As for sea sports, Falassarna is very frequently windy, making its beaches perfect for windsurfing and other similar sports. The wideness of the beach and its bay also offers a lot of safe sea real estate to ensure relatively safe surfing! But the things to be enjoyed about the Falassarna beach do not stop there! Apart from the very real fact that despite its insane popularity world wide, the beach (called “Pahia Ammos” which means rich, thick sand) is so wide and vast that it’s impossible for you to feel it’s ever crowded. Even though chances are you will be enjoying it with several hundred others alongside you, its vastness will ensure that you will never feel suffocated or overwhelmed by the crowds, and will always find several quiet sandy places to enjoy the clear waters. When dusk time comes, you will be treated to one of the most beautiful sunsets in all of Crete! Falassarna beach is famous for its sunsets and how they attract romantic couples every summer just for those. And what about after the sunset? It’s best not to be in a hurry to go, if you choose to spend your day there. Because as the day wanes and gives into the night, the music and the fun are cranked up! There’s several events happening in Falassarna beach after sundown, especially beach parties, with the crowning even being the August Beach Party, annually organized by the Falassarna youth! The drinks are cheap, the music plenty and the partying and dancing carries on until dawn! Many opt to camp out on the beach during the Falassarna Beach Party in the first or second Saturday of August. All in all, there’s every reason NOT to miss spending at least a weekend at Falassarna Beach- it’s going to be a good one even if not in August.